"Over longer periods, however, years of comparatively steady TFP growth tend to be followed by rather abrupt transitions to years with steady but substantially different growth. For example, estimated trend growth in TFP remained relatively strong in the 1950s and 1960s, slowed considerably from the early 1970s to the mid-1990s, and resurged in the late 1990s and early 2000s. 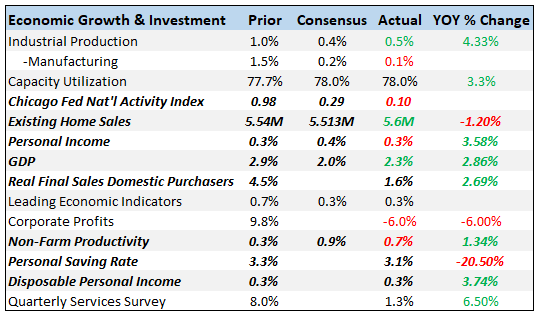 Around 2005, a few years before the recession and financial crisis that began in 2007, TFP growth again slowed in many industries and throughout the international economy. 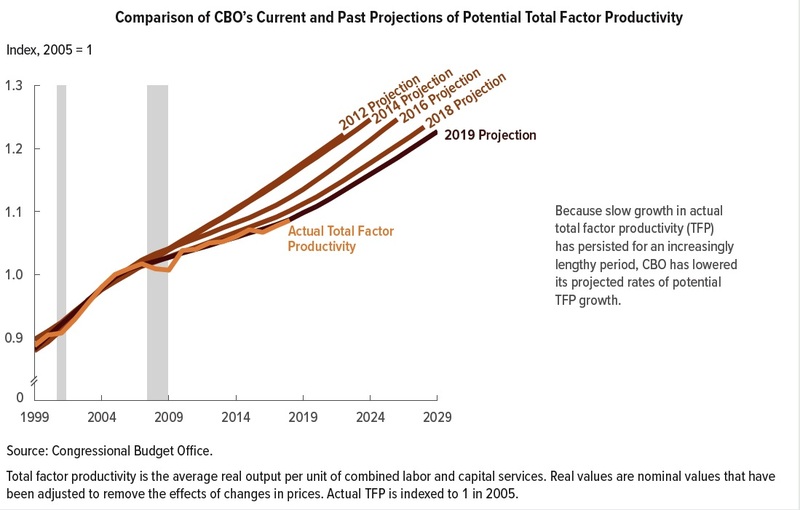 In CBO’s estimate, TFP growth in the domestic nonfarm business sector was only about one-third as rapid during the 2006–2017 period as it had been from 1996 to 2005."